A Kalim Sea View Villa overlooking Patong Bay is being offered by Norbert Witthinrich, of Coldwell Banker Sea Property. Ocean views are easy to find at this Kalim Villa offered through Coldwell Banker Sea Property. Whether it be from the salt water swimming pool overlooking Patong Bay, or the terrace that offers an unrivaled sunset snapshot, the natural beauty of the surrounding landscape is always nearby. Beneath the palm trees that line the neighbouring beaches are a range of restaurants and shops, with attractions to satisfy day and night time wanderings. The four bedrooms and five bathrooms of the villa culminate in 660 square metres of living space, which also includes an entertainment room complete with a pool table and 84-inch television. Other features include separate maid quarters, a yoga room, 24-hour security, a four-space car park, and an al fresco dining area. Coldwell Banker Sea Property Director Norbert Witthinrich said the aesthetic values of the property could not be ignored. 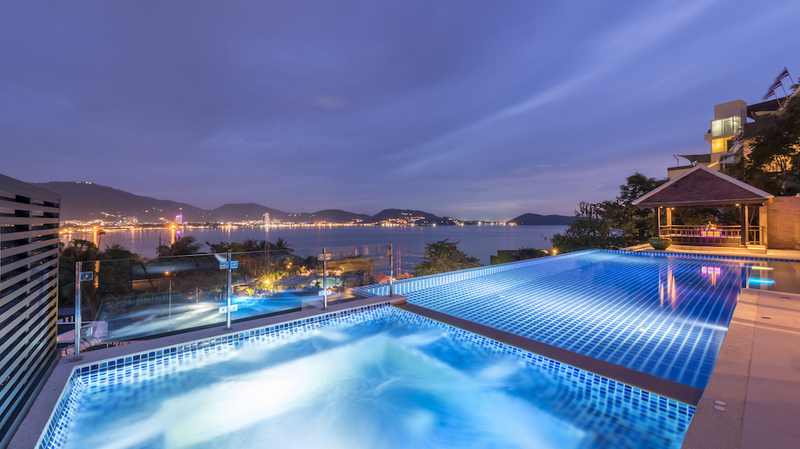 "With sweeping views of the glittering Kalim and Patong skyline and ocean views that extend as far as the eye can see, the owner of this villa is sure to have all of their senses stimulated when staying in this sought-after vacation destination," he said. The villa is priced at THB 55,000,000. For more information, including additional photos and property specifications, visit the Coldwell Banker Sea Property website. To make an enquiry, or discuss the property, email or phone Norbert Witthinrich via the details below.